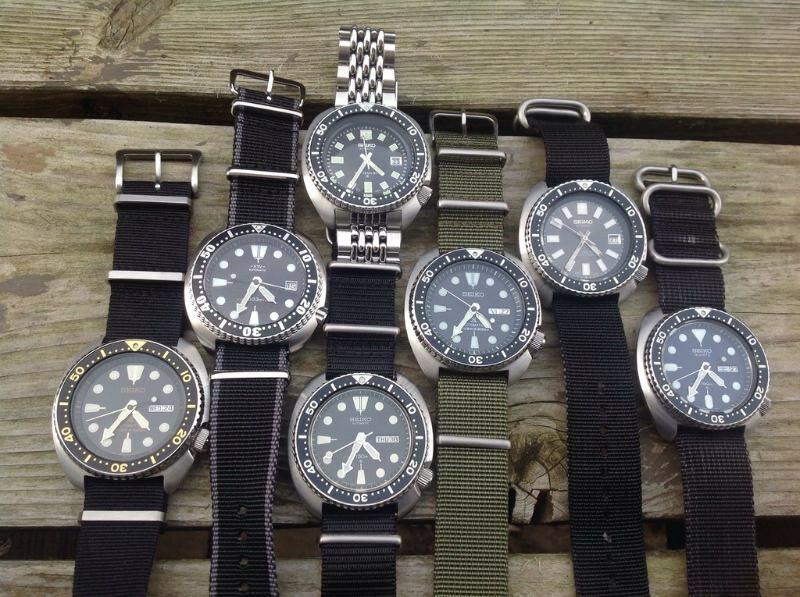 It is a regular SRP with a Seiko MM dial and a custom bezel. Is that a Ridwan bezel? Can't figure out how to get in touch with that guy. mellonb1 wrote: Is that a Ridwan bezel? Can't figure out how to get in touch with that guy. Last edited by toxicavenger on Tue Nov 01, 2016 11:41 am, edited 1 time in total. He's got some really cool bezels in the making. Reach him on Facebook. Don't FB or Instagram but did send him an email. Thanks for the info, Terry. Possibly a new line item added to your website?? Those look like teenage girl watches. Why would they make that an automatic? They'd probably sell a ton as a quartz fashion watch. CGSshorty wrote: Why would they make that an automatic? They'd probably sell a ton as a quartz fashion watch. Looks like the return of the Samurai. Me likey! This is just meh to me. 59yukon01 wrote: Looks like the return of the Samurai. Me likey! Maybe the spork will be next? I hit my mark a few times over. Same here. This shot is missing my 777.